A new AC/DC book, “The Youngs: The Brothers Who Built AC/DC”, will be published this Friday, November 1 in Australia (a North American date is TBA). Billed as less a biography and more a critical appreciation, the book tells the story of the Young brothers – Angus, Malcolm and George – through 11 classic songs and reveals some of the personal and creative secrets that went into their making. Written by Jesse Fink, “The Youngs” sees important figures from AC/DC's long way to the top open up for the very first time, while unsung heroes behind the band's success are given the credit they are due. Former AC/DC members and musicians from bands such as Guns N' Roses, Dropkick Murphys, Airbourne and Rose Tattoo also give their perspectives on the Youngs' brand of magic. Accepted accounts of events are challenged while sensational new details emerge to cast a whole new light on the band's history – especially their early years with Atlantic Records in the United States. 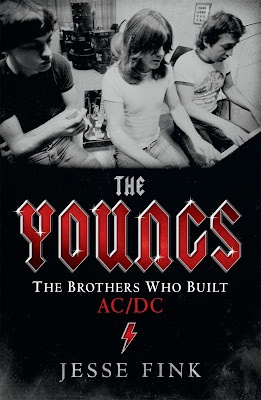 Fans can pre-order the Kindle edition of “The Youngs: The Brothers Who Built AC/DC” via Amazon here.